Tech giants across the globe are spending millions on developing innovative VR technologies. By using different tools for designing things in Virtual Reality, you can create attractive 3D designs for various purposes. Manufacturers like Oculus, HTC, and Microsoft has introduced powerful head-mounted displays. Let’s explore new possibilities that make can be used for designing things in virtual reality. Google has introduced this app for painters, dancers, artists, cartoonists, and designers. There are some specific programs in this tool. These include the different types of brushed like snow, smoke, ink, and fire to make reliable artwork. These tools will give an attractive look to a pattern. Moreover, designers can present their ideas in the form of animations. It is the most popular app because it perfectly works in both Oculus Rift and HTC Vive headsets. Furthermore, it is an affordable option. Gravity Sketch is the best VR sculpting tool. It works well for shoe and car designing. You can also use it for modeling and sketching. Designers can sketch freehand in 3D space by using its smooth curves. You can also resize or adjust the spines by holding and moving the multiple points. In addition, it allows designers to use both controllers simultaneously for different patterns. A recent update allows the designers to use advanced features like the taper mode. This mode permits you to sketch a stroke as per the required length along with tapered ends. Facebook Quill is the best option for directors and writers of illustration films. The tool supports multiple animation capabilities. These include animation brush, frame-by-frame, and others. Furthermore, these enhanced tools can help designers in creating faster and clearer animations. It is a 3D animation tool that offers copy and repose animation. You will also get redrawing frame by frame, an animation brush, and various other features too. The Substance Painter is a reference texturing app used for designing things in virtual reality. It is specified for visual effects studios and 3D animators. A recent update in this app allows you to use it on the HTC Vive headset. Additionally, you can create multiple 3D modeling by using the painter. This tool is a new entry used for designing things in virtual reality published in January 2018. An artist can make 3D sculptures by using this tool. It allows you to make artwork collaboratively. However, it permits the user to export tour creations in the foam of OBJ file and 3D printers too. It is mainly for HTC Vive but SteamVR users can also use it. It’s not an app but a web-based interpretation of Tilt Brush. A-Painter is an online platform for painting without installing any extra software. However, the artist will require an HTC Vive controller along with an operating system. There are 30 illustration brushes available for the artist to paint 3D drawing. You can also import the OBJ models and other images from your device to the browser. The artist can also load and save binary files of their designs. This app is the most appealing tool for character artists. This VR tool allows artists to create object, paint, model, and sculpt in a VR environment. The Oculus Touch controllers can also work with Oculus Rift. There are hundreds of prefabricated stamps available. These stamps are for creating complicated structures and painting. You can also export the high-res mashes specified for printing and modeling using this tool for designing things in virtual reality. No hardware design is perfect that’s why VR headset accessories have become popular choices to buy with new VR headsets. VR Cover offers a range of hygiene and comfort solutions for common VR headsets such as the HTC Vive, Oculus Quest and others. Virtual Reality is going mainstream and Oculus Quest accessories are popular choices for people buying the new VR headset today. It allows the designers to create sketches of your required building. And the best part is that it includes superior quality images. You can view these images from different angles as well. They can develop a 3D model by placing a VR camera inside. Additionally, the VR camera flies according to the predefined path and show you the inside views. Multiple techniques are used to make a 360-video that symbolizes the fly through. You can easily share these VR videos on multiple social media platforms too. The 3D full-scale model provides you an immersive experience of VR. VR is a solution to numerous challenges that different industries face. Generally, if a challenge is expensive, big, or dangerous, then the use of VR makes it more feasible. It is also a very cost-effective assessment of the challenges. There are different VR solutions for the users that they can find very useful in different projects. Therefore, you can use any of them according to your requirements and plan your projects ahead of time. 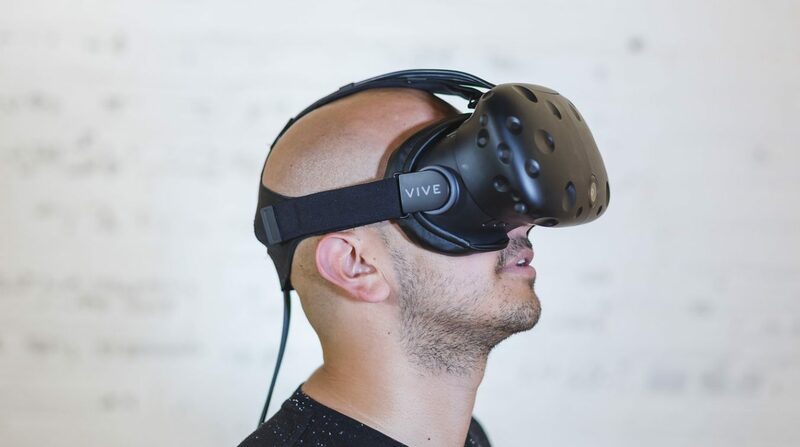 Tech freaks play an important role when it comes to designing things in virtual reality. Painters, artists, and designers can use it with multiple tools. They can also integrate it with different extensions, apps, and software to present interactive 3D designs. There are so many options that you can use with these tools. These include the likes of different brushes such as snow, smoke, ink, and fire to present reliable artwork. However, if you have a plan for constructing a new building, you should view the AV of your building. It will show the VR 3D video where you can view the building from all angles even from the inside. You can also create animations and import/export multiple images or OBJ files from your computers.